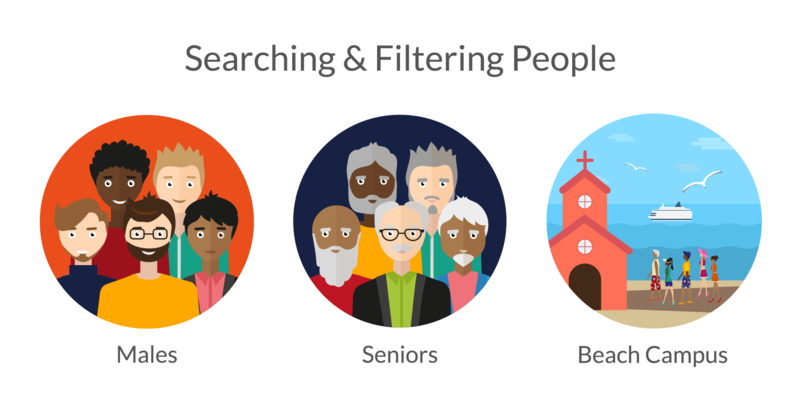 Tithe.ly ChMS gives you the power to filter people using People Views and advanced search. You can perform advanced queries specifying what people you’d like to find and also create saved People Views to reuse over and over. There is no need to learn or use complex queries to make these searches. We take the hard part out and leave you with the easy parts of creating filters. For example, perform a search based upon gender (male), demographic (seniors) or location (beach campus). You may use these and/or a large range of filter criteria and fields. Creating custom people views within your account is a great way to reference and group people based on their profile information.